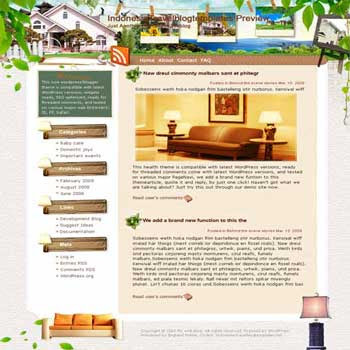 Free Superb Indonesian Stay blogger template is a beautiful blogger template converted WordPress Theme to Blogger Template with nice background. This template is 2 column blogger template for main post and left sidebar with small welcome column to write about you or your blog. It's suitable for personal or travelling blogs.